Your personality can influence the way you perceive the world. In this casual infotainment quiz by Lessons Learned In Life Inc, you’ll discover what the first animal that you notice inside this picture below says about who you are as a person. Take a look and preview what the eagle, butterfly, dog, and mantis represent below. Check out what the remaining animals—crab, wolf, horse, rooster, and dove—mean on Lessons Learned In Life Inc. This intelligent and graceful creature represents those focused and detailed in their approach to tasks, where they leave nothing to mere chance. You have no time for drama and other trivial things in life. You carry yourself with dignity and confidence, with little fear of venturing into the unknown on your own. Similar to how a caterpillar endures dark times within its cocoon only to emerge as a beautiful butterfly, those who perceived this creature are charming on the exterior, while possessing an indomitable spirit. Man’s best friend is known to be loyal, affectionate, playful, and nonjudgemental of superficial, materialistic wealth. Akin to how canines love their owners for who they are, you value what truly matters in life and stay committed to those significant to you. Your strengths lie in patience and accuracy. Though some might underestimate you due to your low profile, they are eventually proven wrong when you strike at the precise moment with determination and aggressiveness. 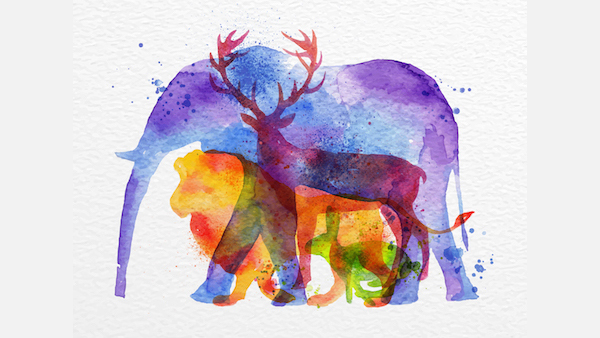 Find out what the other animals represent here.